In the fall of 2009, I discovered the amazing crime fiction blog, Jen’s Book Thoughts. 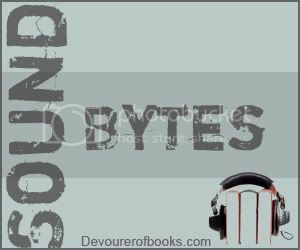 If you don’t know Jen’s blog and you ever read (or listen to) crime fiction, you must hie yourself over there immediately, er, as soon as you finish reading this post. One of Jen’s recent posts in particular caught my eye, her effusive review of Louise Penny’s The Brutal Telling. She sold me on it, and a few months later I read the first book in Penny’s Inspector Gamache series, Still Life and thoroughly enjoyed it. 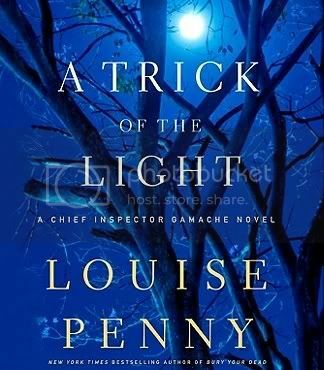 If you suddenly see an influx of Louise Penny reviews on this blog, you’ll know why. It is me, desperately trying to catch up so I can listen to A Trick of the Light. If you’re curious, you can listen to a clip and see why I’m so looking forward to it. My reviews of the first seven books in the series: Maisie Dobbs, Birds of a Feather, Pardonable Lies, Messenger of Truth, An Incomplete Revenge, Among the Mad, The Mapping of Love and Death. It is the summer of 1932, and Maisie has entered a new phase of her professional life, working her first case for the British Secret Service undercover as a professor at a small private college in Cambridge. Please pardon me while I cry for a minute about the fact that now, after having read the first eight books in three months, I have to actually wait for more Maisie Dobbs books. I mean, for goodness sake, I couldn’t even wait until after the discussion of The Mapping of Love and Death in order to read this one, I started it almost immediately after finishing that book. Once again, Winspear manages to keep her series remarkably fresh without it seeming contrived. Teaching at a small college is vastly different from anything that she has done before, but at the same time it seems completely natural for her. The most interesting part of the case, however, was how much it foreshadowed what was to come in the lead up to World War II. Another fabulous entry into the Maisie Dobbs series! If you haven’t started this series yet, what are you waiting for? My reviews of the first six books in the series: Maisie Dobbs, Birds of a Feather, Pardonable Lies, Messenger of Truth, An Incomplete Revenge, Among the Mad. The son of an American mother and a British father raised in the United States, Michael Clifton feels the need to fight for his father’s country as soon as he hears about the outbreak of World War I. As a mapmaker, he has skills that are invaluable to the war effort. Unfortunately, Michael goes missing during the war with his entire company. When they are discovered, dead in a bunker, Michael’s family is able to retain his personal letters and journal and discover that he was involved with a nurse during the war. Hoping for someone who can serve as a connection to their son, the Clifton’s engage Maisie’s services to find the girl, but looking over the autopsy, Maisie can see that there is a bigger mystery: Michael was murdered before the bunker was bombed. This was another well-put together case and mystery for Maisie, Winspear is doing a fabulous job keeping the mysteries fresh and the cases unique. However, in this case, I barely paid attention to Maisie’s case because of some interesting personal developments. Maisie’s personal emotional growth has been happening slowly over the past few books, ever since a case took her to France in Messenger of Truth, first as she came to terms with her psychological scars from the war, then as she began to try to live a richer life in the present. Without being too specific or introducing spoilers, The Mapping of Love and Death holds some progress in this area, a means of progress that had not occurred to me, but which make me incredibly happy. I’m not sure what higher praise I can give to this series than to say that I’ve been reading one of Winspear’s books every two weeks for the last two and a half months, and I cannot wait to read the next book, and I have no idea what I’m going to do when I do, because then I’ll have to wait an entire year for the next book. My reviews of the first five books in the series: Maisie Dobbs, Birds of a Feather, Pardonable Lies, Messenger of Truth, An Incomplete Revenge. Christmas, 1931. Not the happiest of holidays. Doreen, the wife of Maisie’s assistant Billy Beale, is still suffering severe mental anguish about the death of their daughter a year ago, to the point where she can barely care for their two boys. And yet, the Beales are in a better position than many in London. There are men everywhere with war injuries both physical and psychological. This is something Maisie knows all too well after her own wartime injuries and the psychological scar that is only just now healing. The pain of so many, though, is brought into stark relief when a man commits suicide with a grenade on a busy street right in front of Maisie, knocking her unconscious. As if a concussion wasn’t bad enough, an anonymous letter writer threatening the lives of Members of Parliament if something is not done to draw attention to the plight of the invisible veterans. Now Maisie must give up her solitary ways and work with Scotland Yard in order to find this man before he unleashes havoc on all of London. This is the part where I start to get all gushy about this series. I said in my review of An Incomplete Revenge that I really, really liked it, and that it was the best of the series so far. Well, Among the Mad blew An Incomplete Revenge out of the water. Part of the appeal of Among the Mad was the necessary immediacy, the initial note giving them only two days before the writer began taking unspecified action. Unlike the other Maisie Dobbs books, it had elements of a police procedural, but it also got even deeper into the psychological ramifications of the war on the British people than any of the previous books. Between the focus on shell shock and psychological affects of warfare and the increased sense of danger and anticipation, I could simply not put Among the Mad down and I absolutely cannot wait to pick up the next book in the series.